The rules of spades are deceptively simple, making it one of the most fun casual party card games for groups. It can be played anywhere there is a deck of cards and some willing participants. It’s also perfect for replaying time and time again because it’s easy to learn but difficult to master. Therefore, new players can pick it up quickly, but those who have been playing for a long time won’t get bored of it either. Once you learn the rules, you’ll likely get hooked on it! That’s when you become a Spades evangelist, teaching all your friends and acquaintances how to play. The end result of this behavior is that you’re always likely to have someone to play with, but you may actually end up with too many people to fit into one game! If that’s the case, you can always play Spades in pairs or even teams. But there may be more to Spades than meets the eye. In fact, for what seems like a simple, lighthearted game, there is also an enormous potential for scientific play, according to many game theory experts. 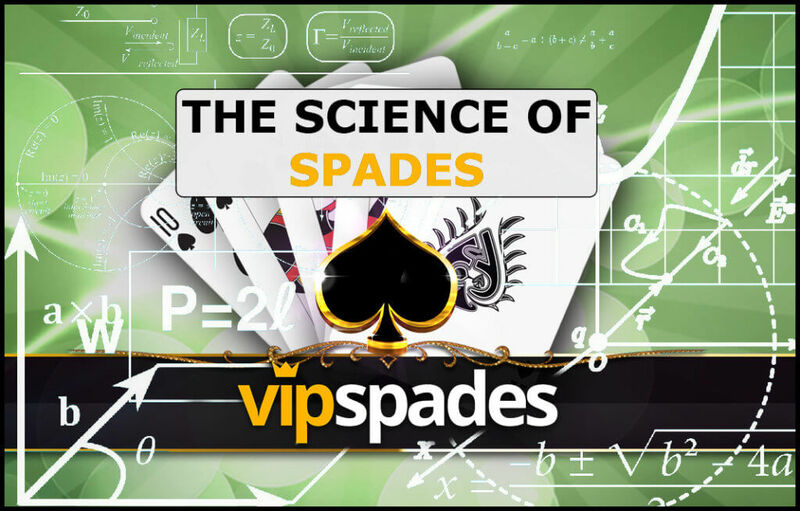 You might be surprised at just how much strategy, psychology, statistical knowledge, and luck goes into becoming a great Spades player. So how many different possible hands are there in a game of spades? The math seems straightforward enough, but as any gambler will tell you, the odds quickly add up to some astonishingly high numbers. There are 635,013,559,600 different possible combinations of hands in a 13-card game of Spades (or Bridge, or Hearts) played with a standard 52-card deck. It is theoretically possible in more than a few permutations that one person is dealt a hand consisting of every spade in the game. And if that person is unlucky they went blind nil! Unless this statistical miracle happens to you, bidding anywhere close to 13 is probably an unwise move from a statistical point of view! While knowing some basic statistical facts about spades and being able to extrapolate the distribution of other cards based on your own hand, it’s important not to overlook the human element in Spades. If you are the last person to bid, a bit of psychology/microeconomics will be just as strong a scientific aid as your statistical knowledge. If everyone else has bid only 1-2 and you’re the last person, chances are good that your initially unappealing hand might just be more valuable than you thought! Additionally, as the game is played in multiple rounds, it is important to get a read on the psychology and personal game theory of your opponents—some are aggressive bidders, some are conservative bidders, and some are just bad bidders. A nil bid and a bid of 7 could mean very different things depending on the success rate and play style of an opponent in the last rounds. Pay as much attention to your fellow players as you do to your own hand and you’ll come out on top much more often than an opponent who only thinks about his own gameplay. So whether you want to play spades online free to pass the time, or you’re just a fan of easy-to-learn card games in general, you have to respect the science and strategy behind the rules in this Whist-type card game.